L.A. Is My Beat: Ornaments! 'Tis the Season! Time to crochet holiday ornaments for decorating around the house and to gift to friends. I do have my favorites to make. Chanukah is early this year. 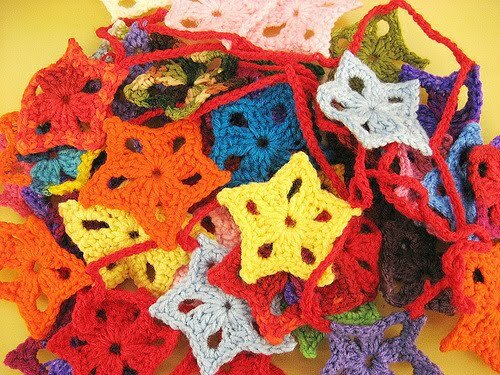 I've made my Garland of Stars, but adding a sixth point for a Star of David many times! Another favorite is the Grandma Tree. I make one of these for the co-workers in my quadrant. We hang them in our cubicles for a festive look. 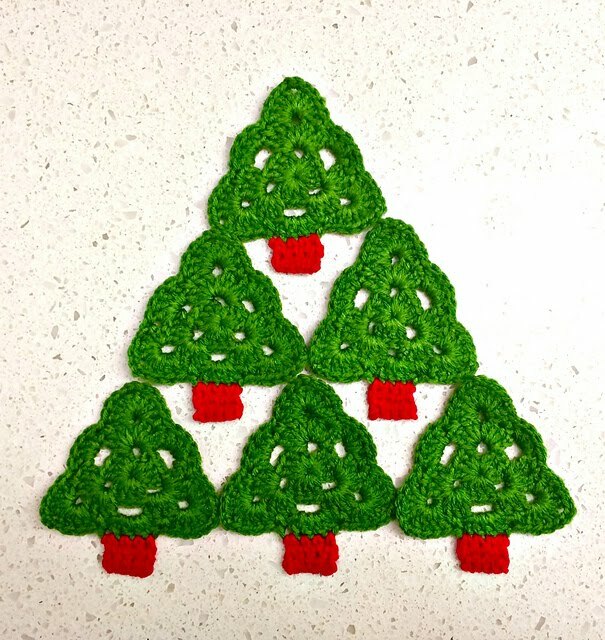 The original pattern calls for making the tree in all one color. I like to add a RED planter pot. 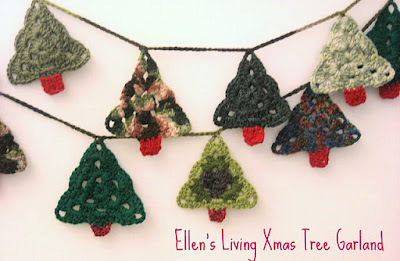 These trees can also be joined into a garland. So festive! 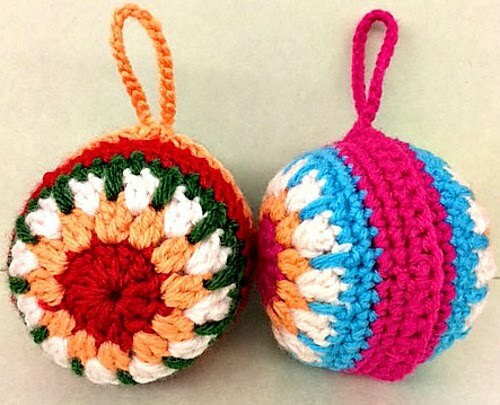 I found these Christmas Baubles online. 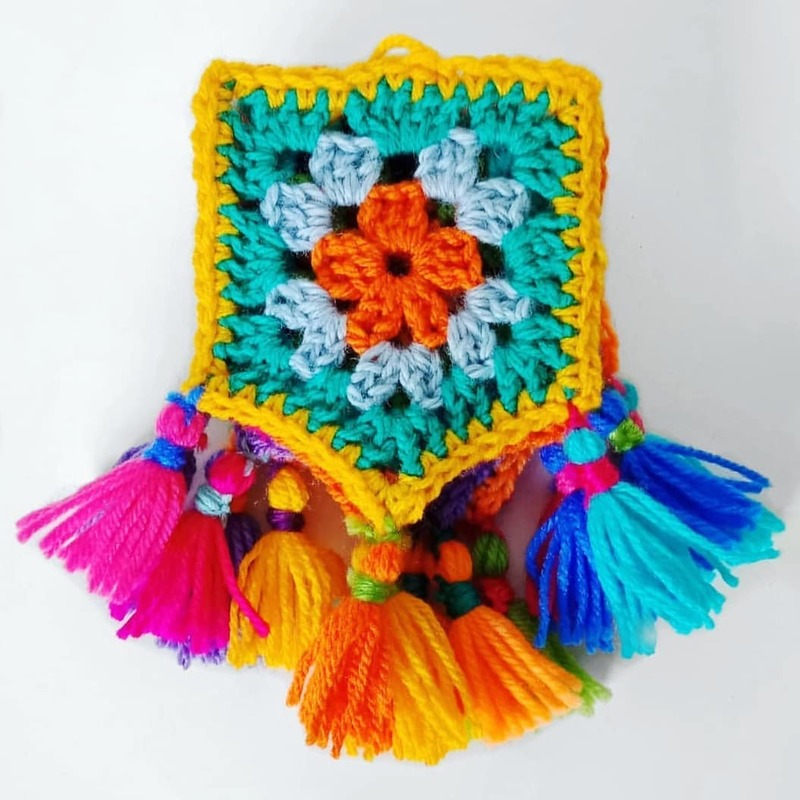 They are really fun to crochet and stuff! 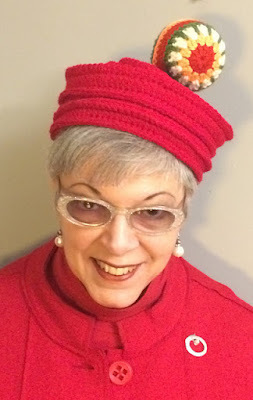 One year I added a bauble to my WeHo SnB Holiday Hat. It was a hit! If you really want to impress your friends and make them feel special, make them a personalized garland. This involves going through your friends' Facebook photo page and finding meaningful photos of them or things around their house. 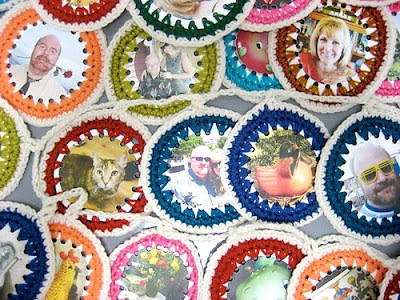 I made one for Carol and Thane years ago and they're still hanging it on their mantle! The instructions are on my blog, link below. I can't get enough of my puffy granny flower. 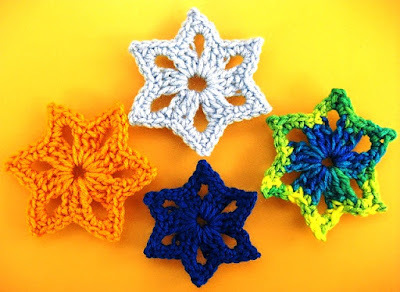 I use this pattern as the basis for hats, potholders and ornaments. 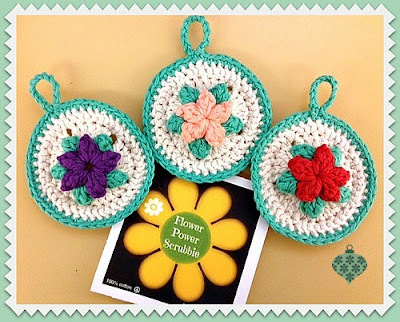 The basic puffy flower pattern is HERE. It's easy to just add a few plain double crochet rows for a border. Puffy Flower Scrubbies or ORNAMENTS? You decide. 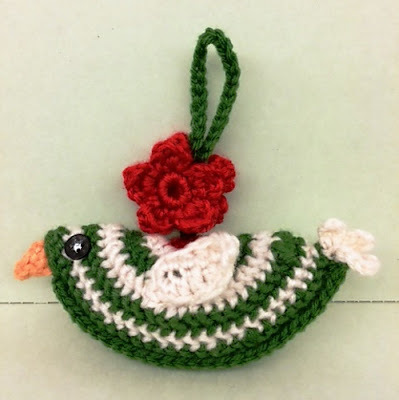 One year I followed a pattern on the Attic24 blog for a Birdie Decoration. I crocheted it in Christmas colors and it turned out very cute! 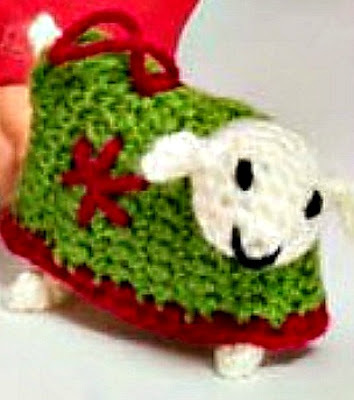 Another really cute Attic24 pattern is for Wooly Sheep Wearing Sweaters. My little sheep didn't turn out as cute as on the blog, but it will do. This year I'm rather obsessed with these festive, tasseled pentagons from Alexandra MacKenzie. I saw them on her Instagram feed, re-posted by #grannysquaretherapy. I don't have an actual pattern for this cute little piece, but we can definitely figure it out! Oh! The decorating possibilities are endless with yarn!